$30.00 ~ 6pc set-SOLD! Thank You! 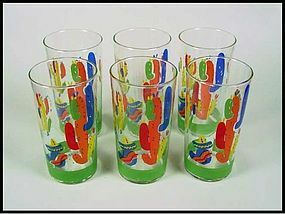 These 6 Mexican scene Fiesta style 12 oz drinking glasses are very stylish and go perfectly with any South Western, or Fiesta, Harlequin, or Riviera dinnerware No chips, but have some minor paint scuffing in the green band at the base. 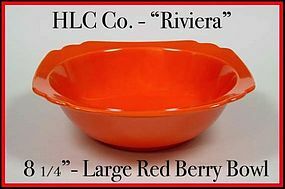 They were probably made by The Libbey Glass Co. in the 1950's. They are 5 1/4 inches tall and hold 12 oz. $30.00 for the set + shipping.-SOLD! Thank You! 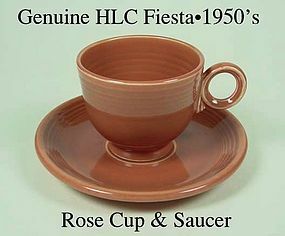 This rose genuine Fiesta cup and saucer was made in the 1930's and is in excellent condition! Guaranteed old and original and has the rings inside the cup also! This chartreuse genuine Fiesta cup and saucer was made in the 1930's and is in excellent condition! Guaranteed old and original and has the rings inside the cup also! 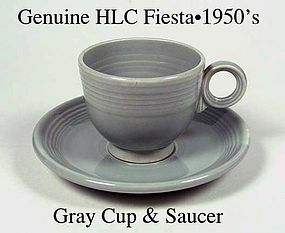 This gray genuine Fiesta cup and saucer was made in the 1930's and is in excellent condition! 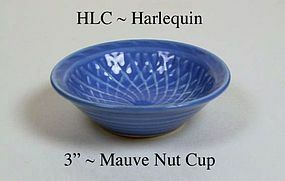 Guaranteed old and original and has the rings inside the cup also! 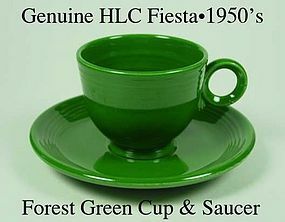 This forest green genuine Fiesta cup and saucer was made in the 1950's and is in excellent condition! Guaranteed old and original and has the rings inside the cup also! One tiny paint skip on handle. 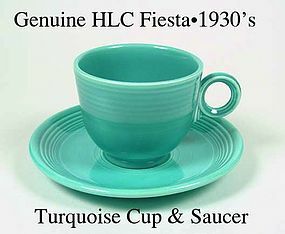 This turquoise genuine Fiesta cup and saucer was made in the 1930's and is in excellent condition! Guaranteed old and original! 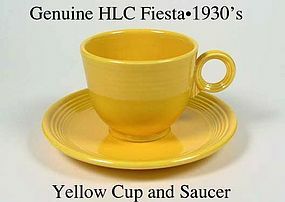 This yellow genuine Fiesta cup and saucer was made in the 1930's and is in excellent condition! Guaranteed old and original! 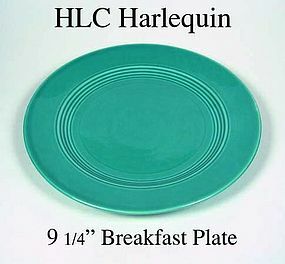 This Harlequin 6 1/4" bread and butter plate was made in the 1930's by Homer Laughlin China Co. Bright color with very little use. 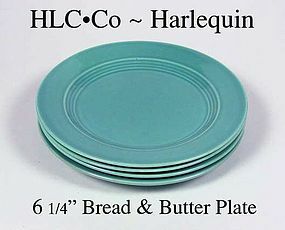 This Harlequin Turquoise 6 1/4" bread and butter plate was made in the 1930's by Homer Laughlin China Co. Bright color with very little use. 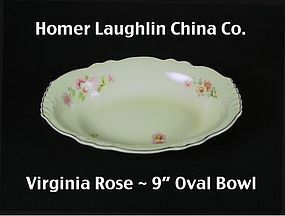 This Harlequin 11 1/4" oval platter was made in the 1930's by Homer Laughlin China Co. Bright color with very little use. 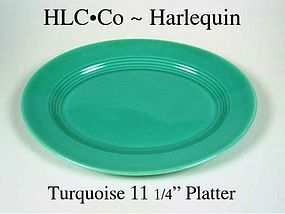 This Harlequin 9 1/4" Turquoise dinner plate was made in the 1930's by Homer Laughlin China Co. Bright color with very minor use. 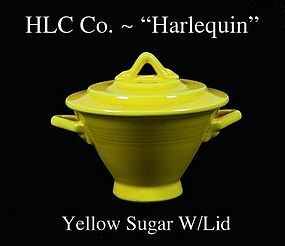 This yellow color Harlequin sugar and lid set was made by the Homer Laughlin China Co in the 1930's and is in excellent condition! $39.00 each ~ 2 available-Both-SOLD! 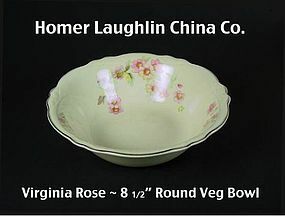 This Riviera red 8" large berry bowl was made by The Homer Laughlin China Co. in the 1930s. We retrieved this set from an attic in a countryside farm estate in NW Ohio. It was never used and the condition verifies that. You'll never find any of this pattern in better condition! $14.00 each ~ 1 available,-SOLD! $7.00 each - 3 available w/tiny nik-SOLD! 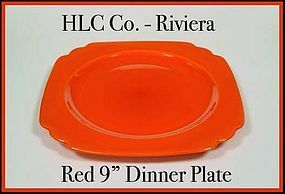 This Riviera red 9" dinner plate was made by The Homer Laughlin China Co. in the 1930s. We retrieved this set from an attic in a countryside farm estate in NW Ohio. It was never used and the condition verifies that. You'll never find any of this pattern in better condition! 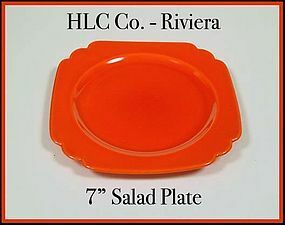 This Riviera red 7 inch salad plate were made by The Homer Laughlin China Co. in the 1930s. We retrieved this set from an attic in a countryside farm estate in NW Ohio. It was never used and the condition verifies that. You'll never find any of this pattern in better condition!